Dogma concerning the use of the Wikipedia has, for many of us working in Higher Education, tended to dictate a lukewarm and grudging acknowledgement of its existence at best; at worst, a belief that any and all uses of it ought to be expunged from academia forever. This attitude to the Wikipedia, and its umbrella organisation in the UK, Wikimedia UK, has in recent years mellowed and in some disciplinary circles it has now been appropriated as a tool for Learning and Teaching. The gravity of this sea-change is such that Wikimedia UK has been involved with partnering influential AHRC initiatives such as the British Library’s Wikipedian-in-residence (2012) and a similar scheme has been set up at the National Library of Scotland. With two major EduWiki national conferences in the last two years, and a handful of smaller, themed events, it is now timely to reassess the Wikipedia and other online sites not only as pedagogical tools, but also as platforms where knowledge is built, shared and transformed; sites and objects for analysis, critical engagement, as well as philosophical debate. This event takes the Wikipedia (the most popular amongst other wikis) and inquires as to its status as a platform for collaborative online knowledge-building. As such, it is but one of a number of examples where online communities of trust and participation have formed their own cultural protocols and have led to all manner of creative user generated content; the building, sharing and transformation of knowledge; and even political engagement, within a broader context of social structures of freedom, expression, agency and public-mindedness. Such broadly civic values, associated in part with stripes of Western liberal tradition, arguably have at their heart an ethical dimension which engenders (or at least, seeks to engender) a more robust digital literacy than perhaps that which has come to shape policy-making and Web ownership in the last few years. As such, it is with pleasure that the Division of Communications, Media and Culture brings together speakers from a range of disciplines, with a range of interests, from within the School of Arts and Humanities, and from across the UK, to share their work addressing different dimensions of these knowledge-building activities. It is hoped that in engaging with and sharing the various philosophical and interdisciplinary strands of research included in the symposium’s speaker-respondent structure, we will gain some insights into the true value of these online collaborations. A new infrastructure for enabling the digital accreditation of learning, Mozilla’s Open Badge Infrastructure is well-placed for recognizing 21st century skills as well as unlocking career and educational opportunities. Grainne Hamilton will introduce the concept of Open Badges, covering how they could enhance current accreditation and how people are using Open Badges in Scotland. Grainne will go into some principles of effective Open Badge design and discuss tools to aid Open Badge development. By the end of the session, participants will have gained a basic understanding of the Open Badge Infrastructure, how Open Badge design can be approached and have had the opportunity to ask questions about Open Badges. 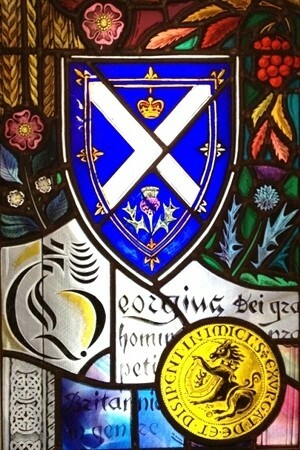 I had the pleasure of opening the meeting with a short talk about the Open Scotland initiative, led by Cetis, SQA, the Jisc RSC Scotland and the ALT Scotland SIG, which aims to raise awareness of open education and explore the potential of open policy and practice to benefit all sectors of Scottish education. The initiative hopes to build on existing open education developments to encourage the sharing of open educational resources and to embed open educational practice across Scottish education. The Open Scotland blog provides a focal point to engage the community in discussion and debate, disseminate news and developments relating to all aspects of openness in education and to further the actions and deliverables discussed at the Open Scotland Summit held in Edinburgh in June. 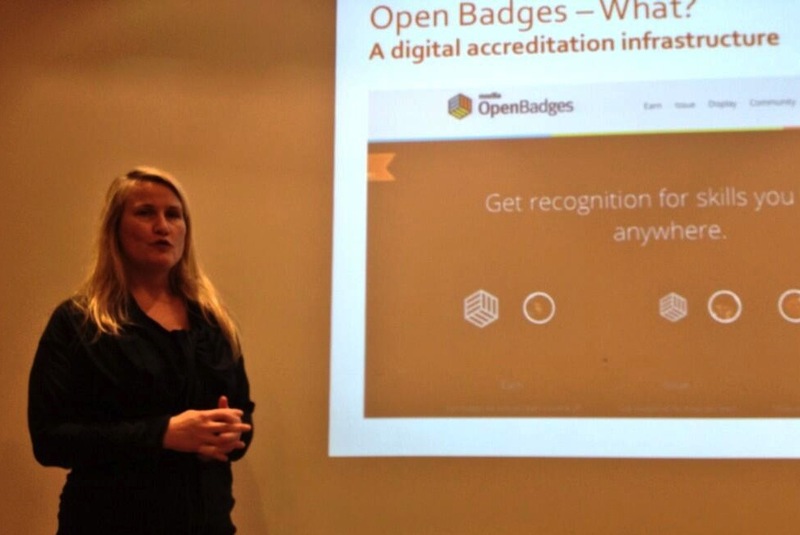 Grainne introduced the concept of open badges and outlined the work of the Open Badges in Scottish Education Group. Open badges are data infused images that provide an online representation of skills earned. Badges could provide an important link between informal and formal learning as they enable users to gain recognition for learning that happens anywhere. The Open Badges in Scottish Education Group, which is supported by Jisc RSC Scotland, has set up three sub-groups focusing on Learner Progress, Technology and Design and Staff Development. Only 15% of Wikipedia editors are women, so Wikmedia UK is taking positive steps to address the gender imbalance of editors and remove sexism and racism from posts. 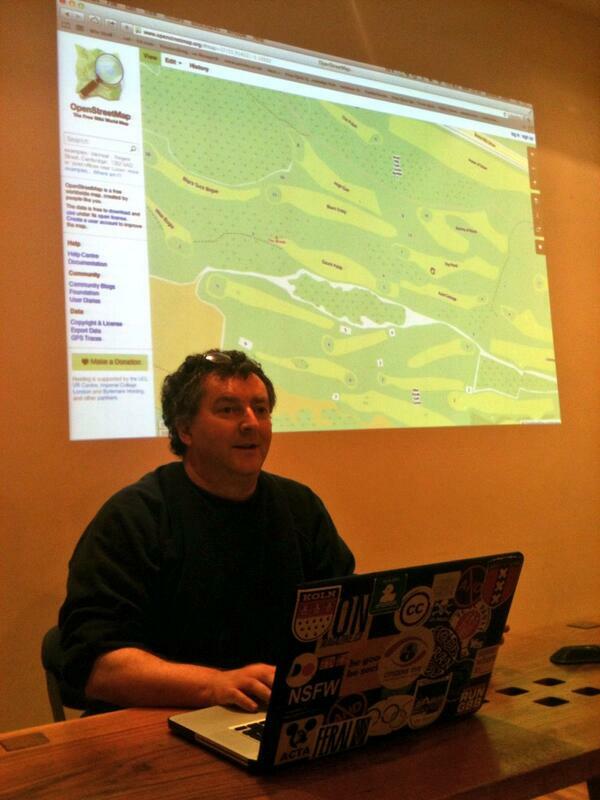 Graeme spoke about a Wikimedia UK editathon run in conjunction with Glasgow Women’s Library. The event hoped to expose the hidden history of women in Glasgow and provide a way for more women from the Library to engage wth technology. Jennifer introduced the Lottery funded Digital Common Wealth project which aims to support creative community expression in response to the Commonwealth Games. 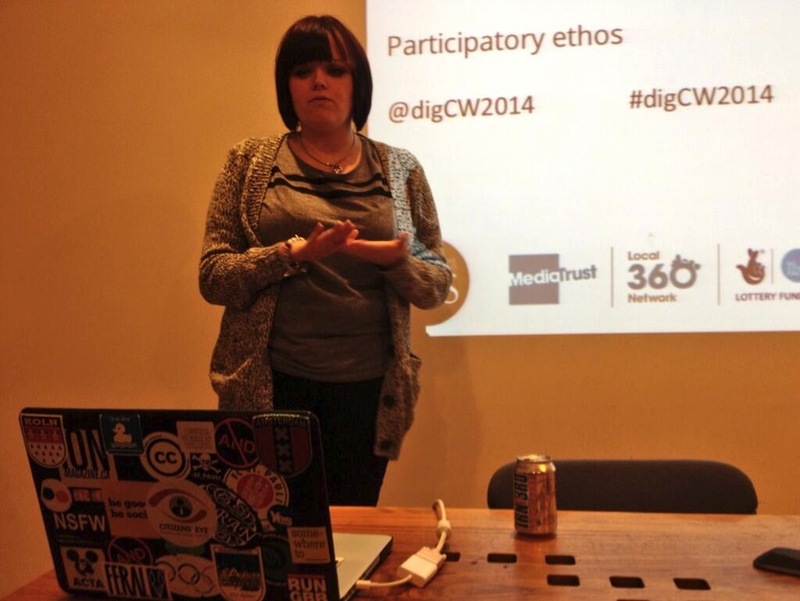 Digital Common Wealth has three strands: Community Media Clusters, Schools Programme and Creative Voices at UWS. Developing digital literacies and creating and sharing data are key principals for Digital Common Wealth. Stories shared by social media are rich source of data and Digital Common Wealth are working with the National Library of Scotland to archive the project’s outputs. Pippa provided an update on the £24 million Glasgow Future Cities Demonstrator project. Last night the project’s Data Portal had 99 data sets, however this morning they tweeted that they had just added their 100th data set from the Celtic Connections Festival. The project used the Open Data Handbook to prioritise themes, however some of their data sets are more open than others, depending on their original licences. Where possible Glasgow will make data open by default. Engagement hubs and links to digital inclusion initiatives are part of the project’s approach and the team will also be running hackathons in the new year. Duncan highlighted some very interesting approaches to open architecture including Wikihouse, which aims to democratise the process of construction, Terrafab which allows you to download and print 3D models of Norwegian terrain maps, and Terrainator, a similar UK based on OS open data. Duncan’s talk provoked a fascinating debate on lack of openness in architecture education practice, and why architecture has not embraced openness in a similar way that software development has. Presented an impromptu overview of the very cool work of the Open Street Map initiative and pointed us to the LearnOSM step by step guide. Bob highlighted some amazing examples of open street mapping at work, including the humanitarian effort to map Haiti after the earthquake and Map Kibera, a project that mapped the Kenyan shanty town of Kibera revealing the extent of the community and bringing it to life. Bob’s talk generated a really interesting discussion on the political and social importance of maps. Duncan pointed out that traditionally the people who have the power have the maps, however initiatives like Open Street Map is changing that. This meeting was organised by Graham Steel, Graeme Arnott and Ewan Klein with a little input from Sheila MacNeil and I. The event was streamed by Jennifer Jones. 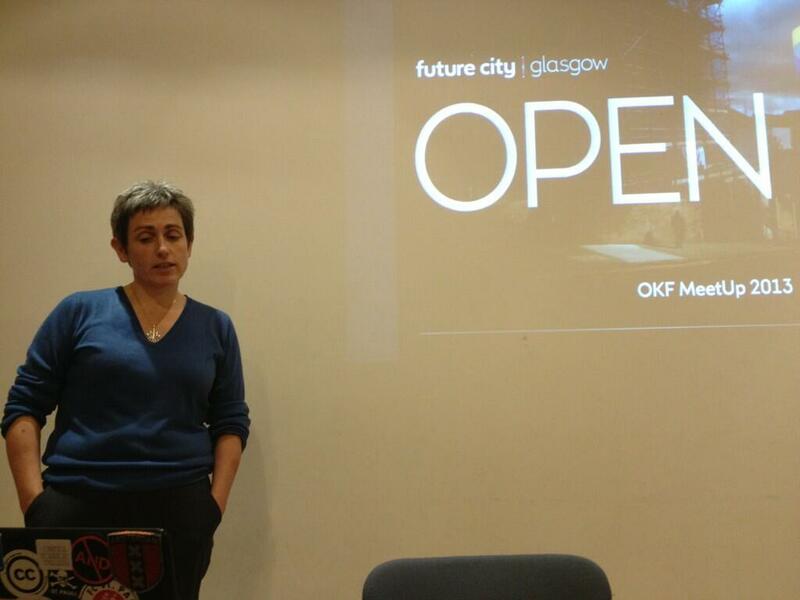 Two Open Knowledge Foundation Meetups are taking place in Scotland next week. Meet-ups are friendly and informal evenings for people to get together to share and discuss all aspects of openness. The meetings are free and open to all, so come along and join the discussions around open knowledge, open data, open education, open government, open badges, open architecture, open galleries, libraries, archives and museums. To attend the Glasgow meetup, please sign up here. 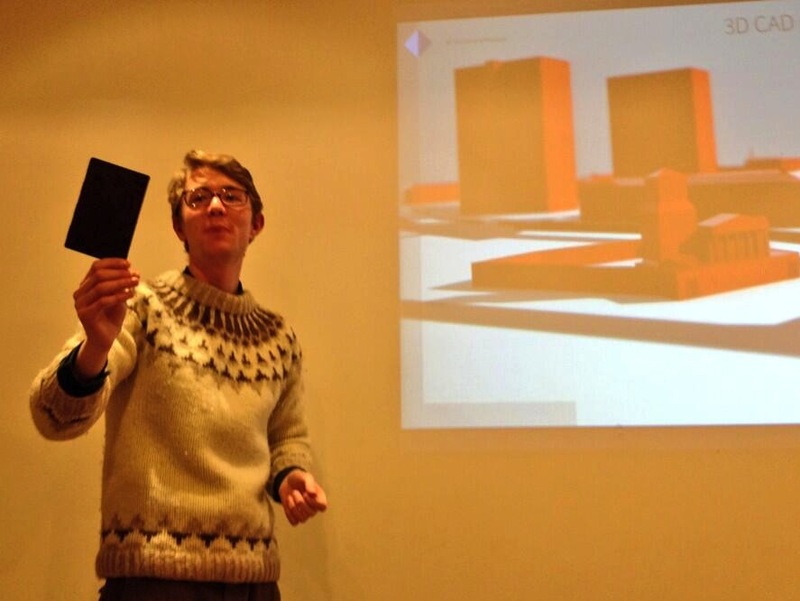 On Thursday the 21st November the eighth Edinburgh Meetup will take place at EDINA at 18.00. This meetup is focusing on OpenGLAM (Galleries, Libraries, Archives and Museums) and will feature the following lightning talks. To attend the Edinburgh Meetup, please sign up here. One of the themes to emerge from the conference was the library sector’s changing attitude towards Wikipedia. This can certainly be seen in parts of the library sector in Scotland, and the National Library of Scotland is to be applauded for appointing a Wikimedian in Residence earlier this year. Robin Owain, the Wales Manager for Wikimedia UK gave a talk in Welsh with instant translation for English speakers via headsets. Robin’s talk provided the political and cultural context for the following keynote talk and made the links with Wicipedia, the Welsh language version of Wikipedia. “Wales is a small country. That’s our greatness. “Do the small things” is our motto” explained Robin, who went on to inform the audience that “Wales is the land of open content“. Such approaches to openness and doing small things, but doing them well has led to Wicipedia being the most popular web site in the Welsh language. Robin Owain’s talk focussed on Wicipedia, which is unsurprising for the Wales Manager for Wikimedia UK. 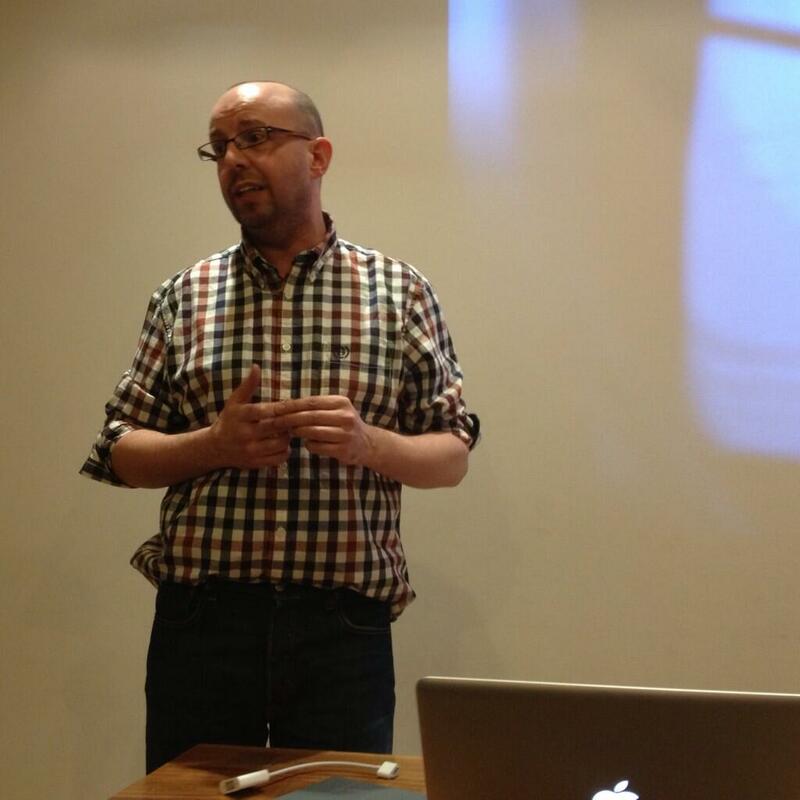 A wider context was provided by Gareth Morlain (@melynmelyn), the Digital Media Specialist for the Welsh Government. In his keynote talk on “Getting More Welsh Content Online” which highlighted how a public pressure resulted in Amazon changing their policy on providing Welsh language access to Kindle ebooks. I was fascinated to learn about use of minority languages, such as Catalan, Basque, Galician, Welsh, Breton, Irish, Gaelic and Cornish, on the Web. I was particularly interested to note that Catalan appears to be punching above its weight. Since I have professional contacts in Catalonia I sent a tweet to Miquel Duran, a professor at Girona University, about this. It seems that his son is president of @amicalwikimedia which promotes Catalan Wikipedia. This suggests that small-scale advocacy can have a significant effect on the creation of articles on minority language Wikipedia sites. Since we heard how the number of Wicipedia articles need to grow by 400% for Google to take Welsh language seriously as a search language I hope that Robin Owain and others involved in encouraging take-up of Wicipedia are successful in their advocacy work. It’s very encouraging to see Wikimedia supporting both open practice and minority languages in the UK and I hope we will see similar advocacy work undertaken in Scotland.